For additional information about this book, visit the website setonthestoryteller.com. In the 1930s, the parents of six-year-old Leila tearfully sent her from their home in California to live with relatives in Santa Fe, New Mexico, hoping the drier climate would restore the little girl’s health. Young Leila was reluctant at first to leave her family, but she soon realized that she had embarked on a grand adventure. She spent three years living with her aunt Julie and her uncle, whom she called “Granddaddy” because of his shock of white hair and mustache. Although “Granddaddy” was her special name for him, the rest of the world knew him as Ernest Thompson Seton, noted author, artist, environmentalist, and co-founder of the Boy Scouts of America. The little girl developed a special bond with the seventy-year-old Seton. Granddaddy taught Leila about the wildlife in the area, and he took her to visit pueblos and silver mines. In doing so, he shared his reverence for all living things and his profound respect for Native American cultures. Perhaps best of all, Granddaddy was a masterful storyteller. 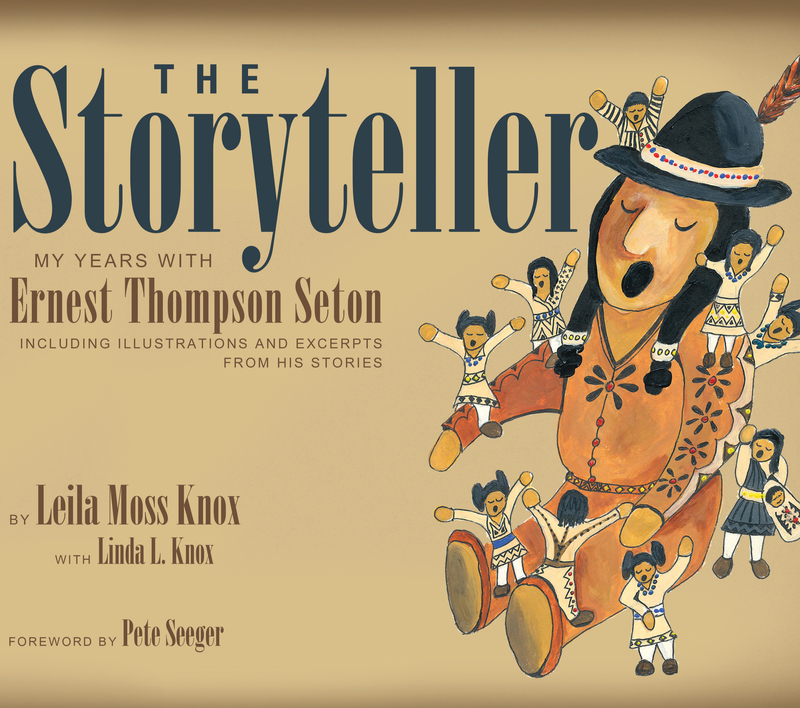 Leila Moss Knox’s The Storyteller was written as a chapter book for second- to fifth-graders, but readers of all ages will be drawn to her lyrical narrative and wonderfully evocative photographs. Also adroitly woven into her memoir are excerpts from some of Seton’s best-loved stories. Although his stories were originally published more than one hundred years ago, they remain as fresh and enchanting as ever and will continue to delight each new generation of readers. Leila Moss Knox spent three years of her early childhood living in Seton Village with her aunt and uncle, Julia Moss Seton and Ernest Thompson Seton. She lived in the San Francisco Bay Area after leaving Santa Fe at the age of eight. Upon her retirement from Stanford University, she moved to Carmel, California. She has always had fond memories of the years she spent in New Mexico and has frequently visited Santa Fe. Leila long desired to write a children’s book about the time she spent in New Mexico and hopes her memoir will inspire children everywhere to read Seton’s timeless and engaging stories. Linda L. Knox, a school administrator in California, has extensive experience working with students and teachers in the area of literacy. She co-founded and for many years co-chaired a district-wide student writing fair that continues, after more than twenty years, to nurture student writers and to showcase their high-quality fiction, non-fiction, and poetry.